Stephen Scharf, CISSP, is currently employed as Managing Director and Global Chief Security Officer for the Depository Trust & Clearing Corporation (DTCC). Mr. Scharf is accountable for the overall strategy, leadership and governance of DTCC’s Technology Risk, Information Security, Physical Security, and Business Continuity programs. 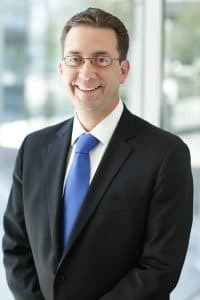 Prior to his position with DTCC, Mr. Scharf was employed for seven years as the Global Chief Information Security Officer for Experian and four years as the Global Chief Security Officer for Bloomberg, LP. In both organizations he was responsible for information security, physical security, business continuity, investigations, and crisis management. Prior to his security leadership positions, Mr. Scharf was a Managing Security Architect for security consulting firm @stake. At @stake, Mr. Scharf was responsible for managing application, physical, policy, and network security assessments for global financial service clients. His efforts allowed @stake clients to identify and remediate numerous security concerns while providing equal support for critical business drivers. As part of his industry volunteer activities, Mr. Scharf was a member of the International Board of Directors for ASIS from 2011 to 2013. He has also served as a past member of the Advisory Board for the ASIS CSO Roundtable and a past member of the ASIS Committee for Enterprise Risk Management. He has also served on the Information Systems Security Association (ISSA) International Board of Directors. Mr. Scharf has over twenty five years of experience in Information Technology with a twenty year concentration in Information Security. He has achieved the Certified Information Systems Security Professional (CISSP), and previously held certifications as Microsoft Certified Systems Engineer (MCSE), Checkpoint Certified Systems Engineer (CCSE), and Cisco Certified Network Administrator (CCNA). He is a regular speaker at security events, including talks at the United Nations. Mr. Scharf has also authored multiple articles on security topics, including forensics, security administration, business continuity planning, and outsourcing. In 2012 Mr. Scharf was honored as CSO of the Year by SC Magazine. Mr. Scharf received a Bachelor of Arts degree from Ithaca College with a major in History and a minor in English.